Okay! A lot weird things happen in sports. But, sports that are weird? Yes, you’re reading it right. There are some weird sports played around the world. We humans never get bored of inventions, so someone thought “Why not invent a sport that’s weird?” Well, as it turnouts these weird sports are quite the entertainment. 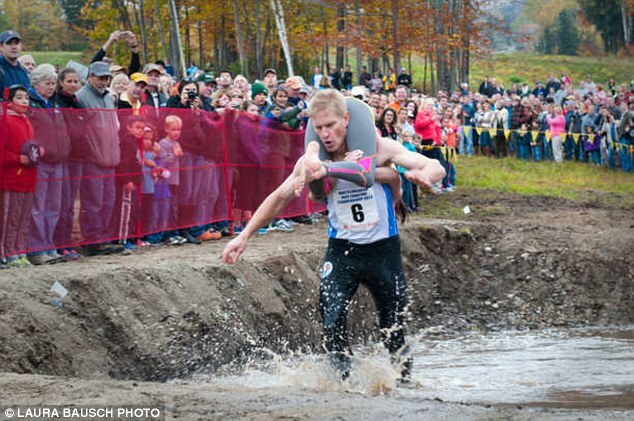 Held in Finland in early July, Wife-Carrying requires a man to run a 253.5m course while carrying their wife on their back. The prize? Beer, they’re wife weights. Piggyback rides madam? 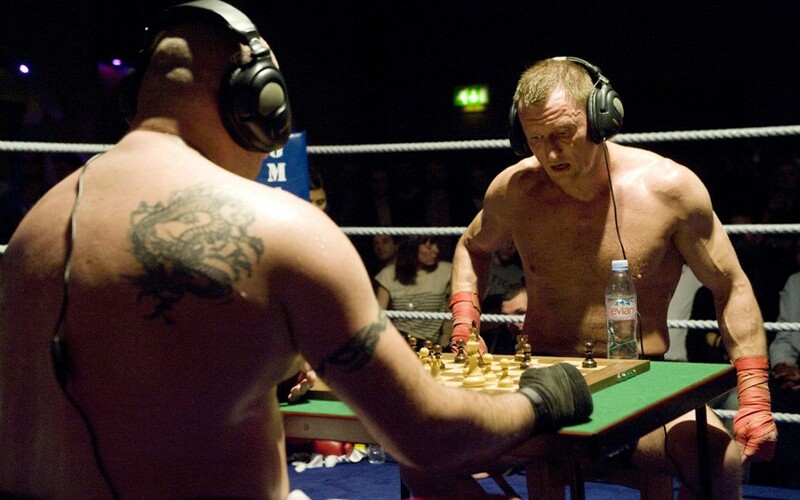 Chess boxing is a hybrid sport that combines chess with boxing in alternating rounds. 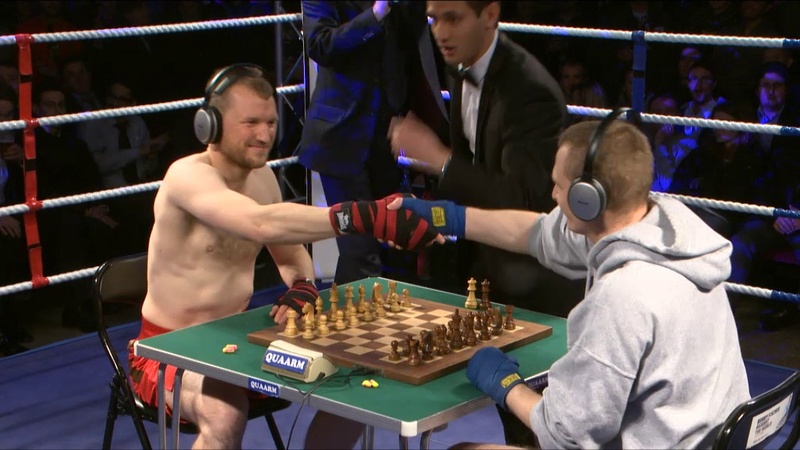 Bored of chess, lets fight. Tired fighting, let’s play chess. Sounds fun, doesn’t it? 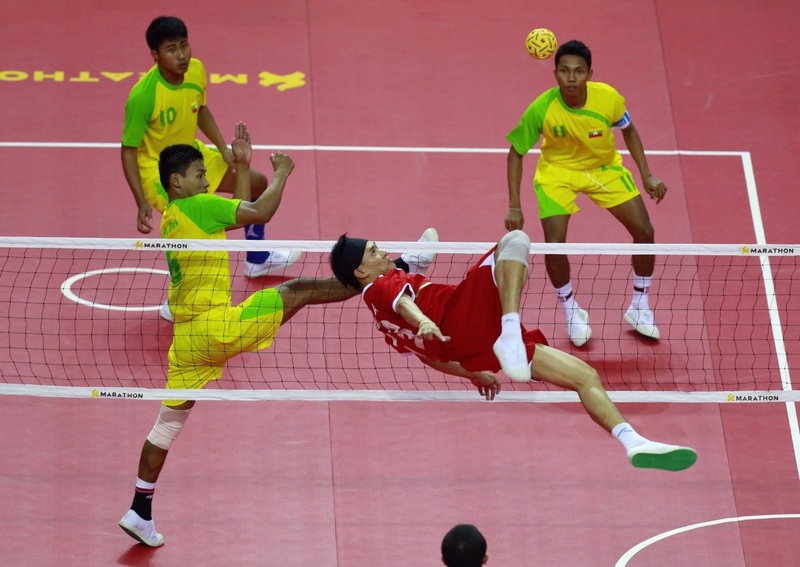 Sepak Takraw is just like volleyball, except the players must use their feet to get the ball over the net. Kung-fu. Hiiiyaaaaa!!! 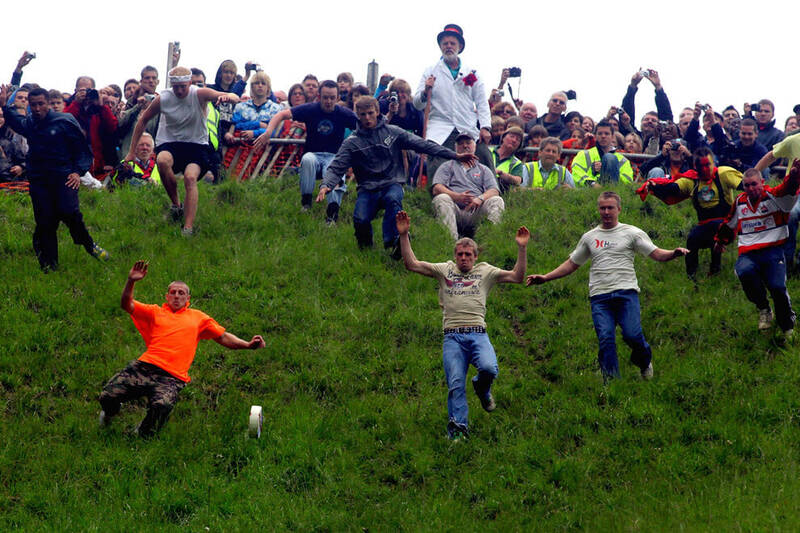 A large cheese wheel is rolled down a steep hill and competitors race after it. The first person to make it down the hill wins the cheese. God, they love their cheese too much! Quidditch! Straight from the Harry Potter books, it is exactly like the game. 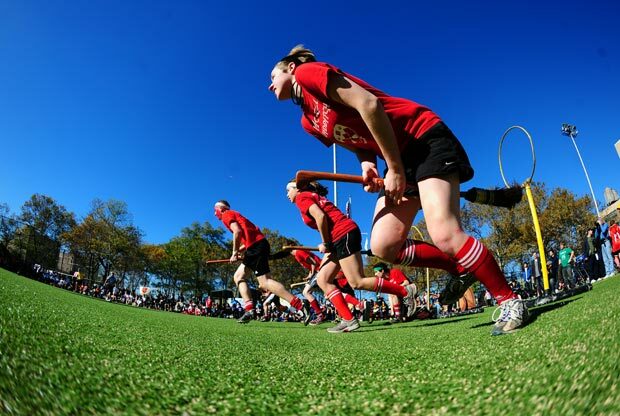 A team is made up of seven athletes who must play with a broom between their legs at all times. It borrows elements from rugby, dodgeball, and tag. Too bad the broom cannot fly! Just when you thought this list was getting weird, he’s another one. Toe Wrestling, two people lock their feet and battle with their toes, attempting to pin each other's foot down. 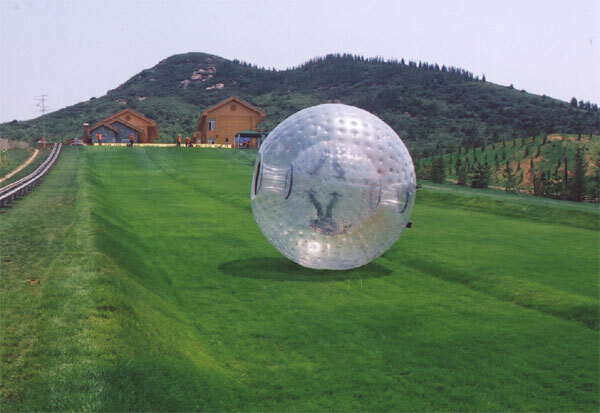 Zorbing is the recreation or sport of rolling downhill inside an orb, generally made of transparent plastic. Life in a bubble!